A credit card is the fastest way to build new credit if you have no previous credit history or to re-establish good credit if you have some issues that have left you with a low credit score. But you need to find the right credit card so that you receive approval on your application. This is much easier when you choose a First Progress Platinum MasterCard. There are three different options available through First Progress, and the best part is you can avoid a credit check. There are also excellent card benefits for each of the options. Learn more about them and find out how you can apply below. Each of the three First Progress Platinum MasterCard share two things in common – they don’t require a minimum credit score or any sort of credit history, making it much easier for you to get approved than it is with other types of credit cards. This makes these cards ideal whether your goal is to re-establish good credit after some past mistakes or build new credit. The first option is the Platinum Prestige Secured Credit Card. Cash advances also all have a transaction fee of either 3% of the advance or $10, whichever is more. Since these are all secured credit cards, you must pay a security deposit before you can use the card. This security deposit becomes your credit limit. The three cards all have the same requirements, and qualifying for any one of them means you’ll also qualify for the other two. Which one you choose depends on your needs. If you know you’ll be able to pay your balance off in full every month, then you’re better off with a lower annual fee. If you think you may need to carry a balance, then you could save money by paying a larger annual fee for a card with a lower APR. Especially when you’re trying to improve your credit, it’s better to pay your bill in full every month and avoid interest entirely. The first three cover all the information that First Progress needs to collect from you, such as your full name, your email address, your street address, your date of birth and your Social Security number. The Agreements stage is when you sign or eSign all the contractual items. Finally, the Funding stage is when you make your refundable security deposit. When you apply for a First Progress Platinum Secured Card you get the benefits of when avoiding a credit check. This is a good thing when your credit has seen better days or you just want to start establishing credit. There is no credit history or minimum credit score check when you apply so rest at ease. The fees and APR’s are competitive with other cards and very doable. Your credit is based on your deposit. The benefits of when avoiding credit check are they don’t require you to meet specific income requirements either. When you qualify for one of the Platinum cards you are approved for all three of them. It is a real, quality credit card that gives you a revolving credit line along with your refundable security deposit. A bank account is required to make sure monthly payments are fast and easy as well as to bypass fees accrued from third-party merchants. You can use your card at most hotels and restaurants, it is accepted nationwide. The benefits of when avoiding credit check are also they report your payment activity to the three major credit bureaus, Equifax, TransUnion, and Experion. This way as long as you make timely payments it will show positive on your credit report and improve your credit score over time. Benefits of when avoiding a credit check are that it is easier to start rebuilding credit with a secured card than an unsecured card. Be sure to pay off your balances every month to avoid interest charges. This is important for your credit health when re-establishing new credit with first progress platinum MasterCard. You will see in about one to one and a half years your credit will be re-established. Spend your credit wisely, a little every month then paid in full on time on your monthly bill and you will soon be able to further your credit and upgrade to an unsecured card. Using your own money for the deposit will help when you are re-establishing new credit with first progress platinum MasterCard because you define your own credit limits between the two hundred and two thousand dollars. Between the three platinum cards, elite, prestige, and select you to get to choose one that has the right interest rate, deposit, an annual fee that is best for your situation. If you don’t have an emergency account, this is a good card for emergencies as long as you can pay it down quickly. It does not say “secured” on the card, it works and acts just like any credit card as long as you keep your deposit balance up. It is always important especially with kids to have an emergency fund if anyone gets sick and needs medical care. Even with insurance medical costs add up quickly. Always read your terms of the agreement so you know the rules. Interest and late fees can stack up quickly. Know your maximum and minimum deposit requirements and see what fits your budget. Keep an eye on your Credit score. Once things have happened and your credit is damaged just remember the past is done and start over by being more diligent in your finances. Read carefully which of the three cards is right for you. If you are going to pay your balance every month and avoid interest charges the Elite is a good choice. The annual fee is the lowest, the APR is higher but as long as you pay the balance every month this could save you money. The Select and Prestige cards also have low, reasonable annual fees but the APR for the Select is more than the Prestige. If you think you’ll need to carry a balance sometimes it’s better to go for the low interest rate card. They are based on your security deposit, not your credit score once you are accepted. Therefore it is very important to keep up with your payments because you will be held accountable and then you may not have any available funds. Cash advances should only be used in emergencies or not at all since there is a transaction fee of 3% of the advance or ten dollars whichever is more. These are not debit cards or prepaid cards. They function just like real credit cards and these three cards are a great way to open the door to establishing better credit. They are especially for those trying to improve their credit moving forward. 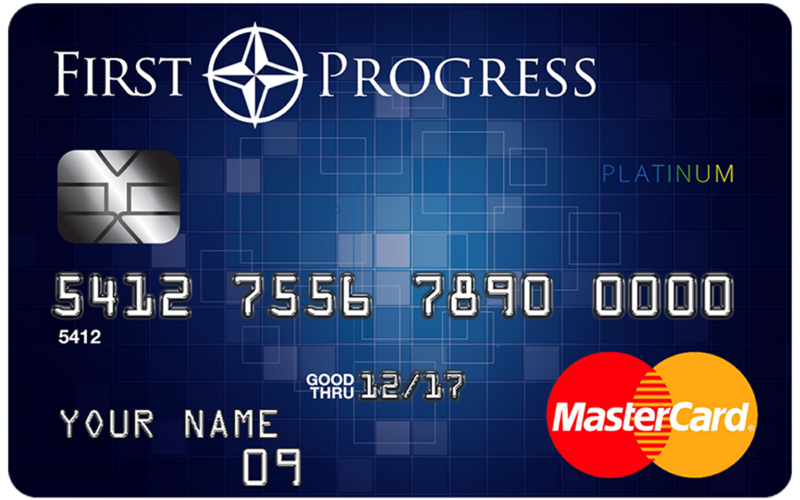 The Platinum MasterCard available through First Progress are solid choices when you need to boost your credit. Being able to avoid a credit check during the application process is great as it gives you a high chance of approval. 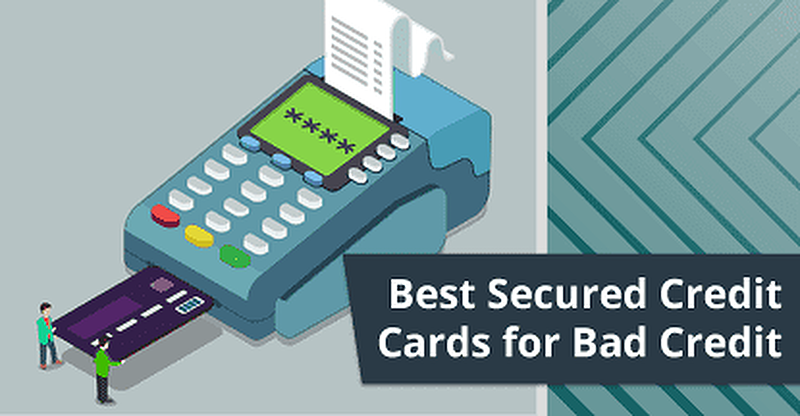 Although these cards don’t earn rewards and require security deposits, the terms and card benefits are very good for secured credit cards. The APRs are lower than you’d get with similar types of cards, and the annual fees are also competitive. 9.99% APR is particularly low and only requires you to pay that $49 annual fee. Overall, these cards are all excellent choices for building or repairing credit.